This post is sponsored by M&M’S. 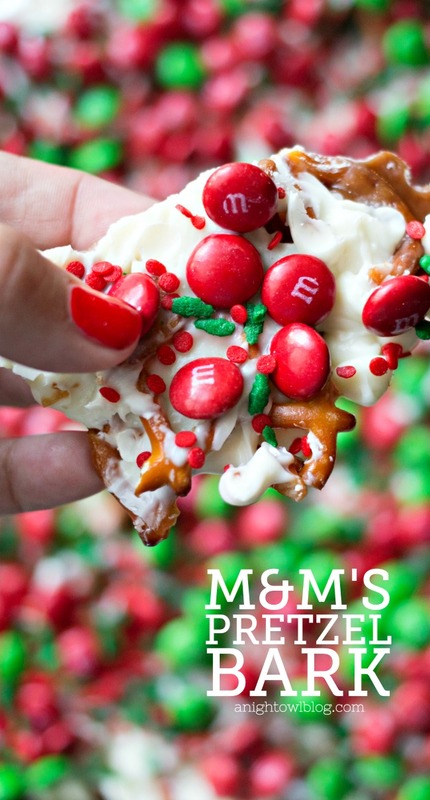 This M&M’S Pretzel Bark is the perfect combination of salty and sweet in one delicious holiday treat! Hi friends! Christmas is right around the corner, can you believe it? 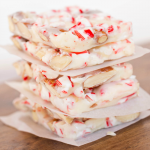 This time of year we like to break out the goodies and get into Christmas candy mode. 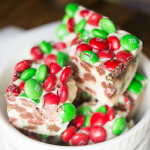 And one of my favorites that we have to have on hand are these red and green M&M’S! The candy is a favorite around here and the colors add a ton of festive charm to any treat. 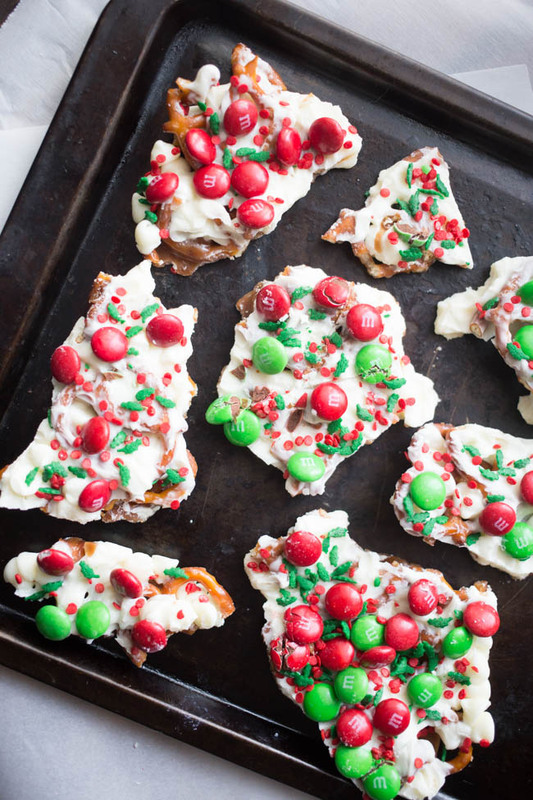 And today we’re sharing one of our holiday favorites, M&M’S Pretzel Bark! 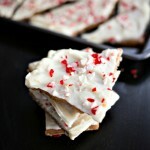 If you’ve been around this blog for a bit, you may know that candy bark is a family favorite. 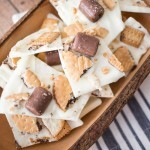 I’ve shared a few different variations, but this time we swapped out our typical graham crackers for salty pretzel pieces and I am floored by how tasty it is! 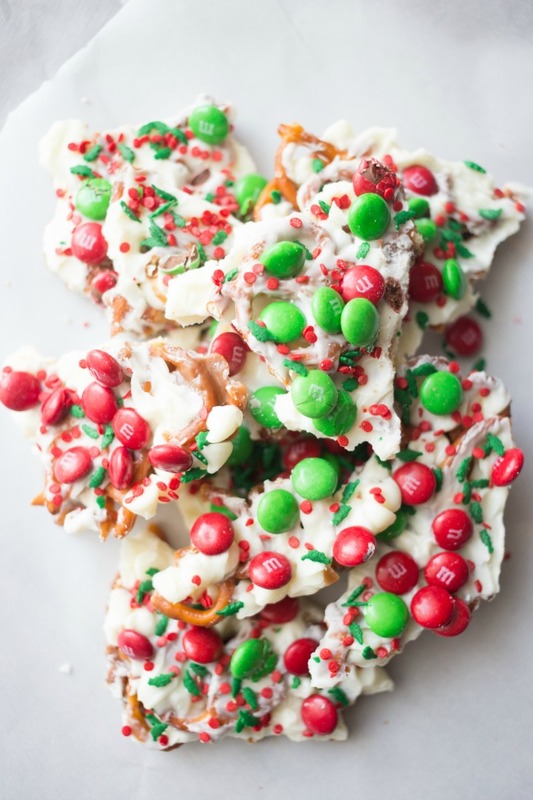 This M&M’S Pretzel Bark is the perfect combination of salty and sweet in one delicious treat! And top it off with cute M&M’S and holiday sprinkles and not only does it taste great, it looks so cute too! 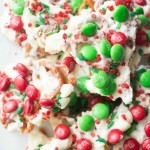 This M&M'S Pretzel Bark is the perfect combination of salty and sweet in one delicious holiday treat! Line a 10x15-inch jelly-roll pan with non-stick foil; arrange broken pretzel pieces to fit the bottom of the pan in a single layer. You'll want to cover as much of the bottom of the pan as possible, but gaps here and there are just fine. Melt the butter in a medium saucepan over medium heat and add the brown and white sugar. Stir to combine and bring mixture to a boil. Reduce heat and let the mixture gently bubble for 4 minutes and remove from heat. Carefully pour sugar/butter mixture evenly over the pretzel layer, spread to cover. Place pan in the oven and bake pretzels for 10 minutes. Once out of the oven, sprinkle white chocolate chips over the top. Wait about 2 minutes for chocolate to melt, then use a spatula to gently spread chocolate chips into an even layer on top of the pretzel layer. 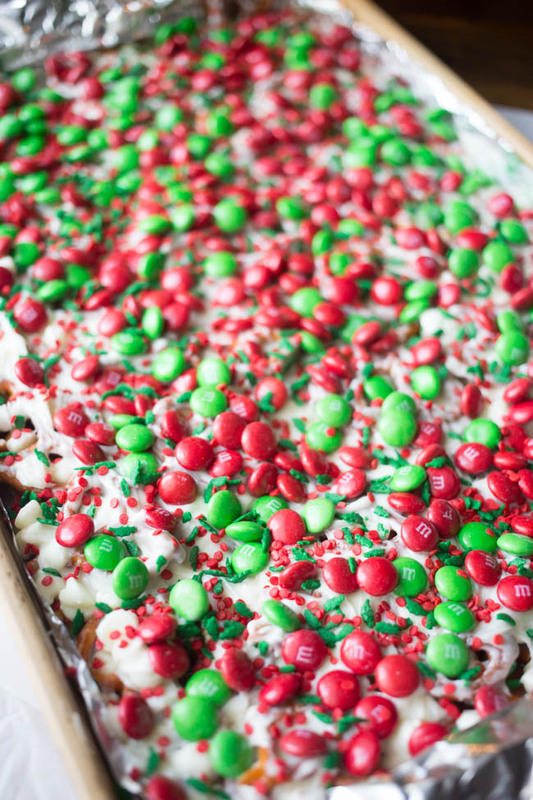 Sprinkle with M&M'S and festive holiday sprinkles. Peel foil from chilled bark and break into pieces. 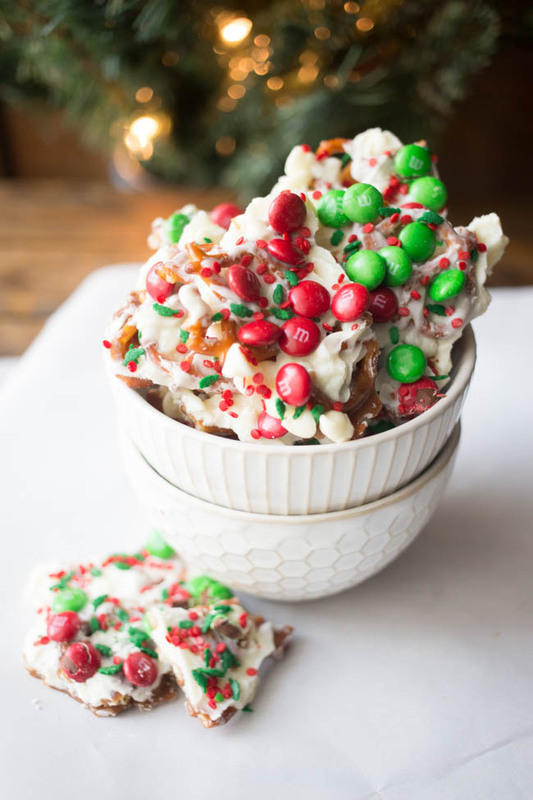 It may look like a lot of steps at first, but let me tell you they’re simple and the result is one delicious salty and sweet M&M’S Pretzel Bark! I hope you’re in the Christmas baking and treat-making mood now! I know I am! So grab a bag of our favorite red and green M&M’S and let’s get to creating! Happy Holidays! Yum! If I wasn’t pretty sure I have a cavity right now due to my current toothache, I would totally be all over this!